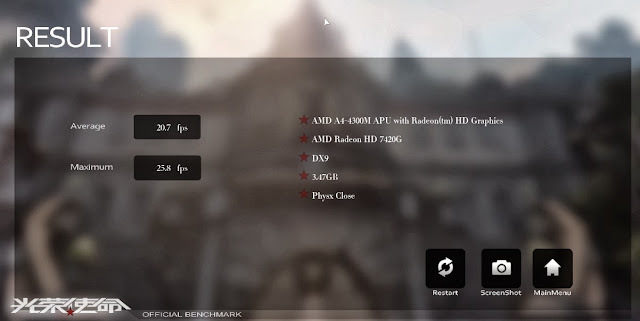 No benchmarks available about the AMD Radeon HD 7420G or any comparison with the Intel HD graphics integrated GPU, and this fast review is considered the only and first one, we will perform some benchmark test about the HP Pavilion g7 laptop which uses the AMD Radeon HD 7420G GPU inside the A4-4300M APU. First thing first lets take look at the specifications of the Radeon HD 7420G. It's a 32nm based GPU codenamed "scrapper" with Terascale 3 the shaders processors are as low as 128 with only 512MB of VRAM and 128bit bus that give us an idea of this low profile entry-level integrated GPU, that meight mean lower performance than the Intel HD 4000 series, so lets take look at some benchmarks. The HP G7 laptop used on the test is a dual core based CPU powered with an AMD APU A4-4300M clocked at 2.5Ghz, so keep in minde that if the HD 7420G is combined with a higher CPU like a quad-core CPU, the results will increase by some 0.x fps. The MinFPS for Heaven test is 5.0 an the Max is 16.4, results show that the HD 4000 is bit higher than the Radeon HD 7420G. 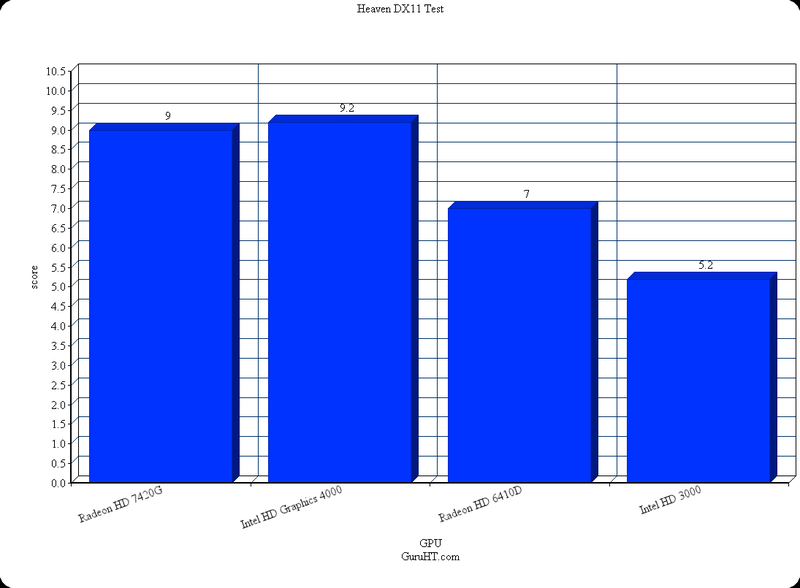 PLA is a great benchmark tool to test DX11 and DX10 FPS gaming general performance.